He is the special guest at the Steed Ball later this month in London. Here's Peter with Fenella Fielding at the Steed Ball. 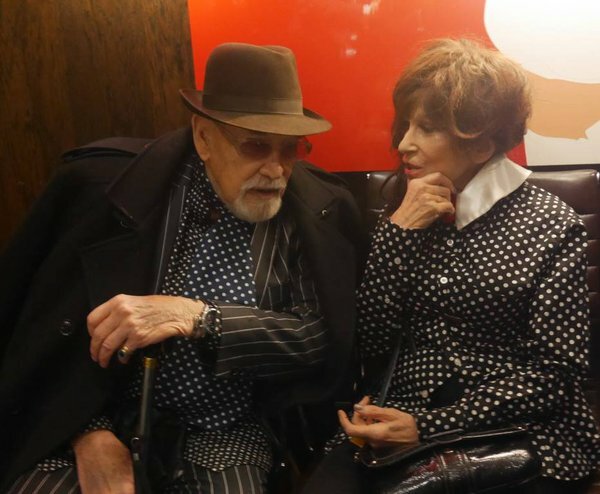 Pure coincidence they both wore polka dots.